Are you ready to find out which films are in this week’s UK Top 10? Did last week’s number one Ant-Man and The Wasp retain top spot or did a rather large shark take a massive bite out of the cinema box office takings? Let’s find out, these are the figures for the UK Cinema Charts August 10 2018. Well we do indeed have a brand new film at number one this week and it’s the Jason Statham giant shark movie The Meg from Warner Bros that claims it. With cinema takings of over £3.6m from 499 cinemas it holds off second place Mamma Mia: Here we Go Again! which has been on release for four weeks but is still showing in 698 cinemas. So what of Ant-Man and The Wasp? That falls to number four with takings over £2.2m from 613 cinemas whilst Incredibles 2 is still doing good business even climbing one place to number three. Mission: Impossible Fallout slips from number three last week to number five managing £2m from 593 cinemas. Note it has now taken more than £17.4m after its three weeks on release. The Meg may be the highest new entry on the chart this week but two other new films also made the top ten, 20th Century Fox’s sci-fi thriller The Darkest Minds entered at seven whilst internet horror Unfriended: Dark Web landed at nine. One new entry that fails to make it inside this week’s top ten is Dog Days which can only manage number 13 and box office takings of £59k from 238 sites. Some of the best deals around at the moment are listed below including an LG Bluray player for around £50. If you prefer Sony you can pick up the Sony BDPS1700B for around £80, whilst if your budget will stretch a little further you can pick up a 4K Ultra HD Blu-Ray Disc Player for around £150. 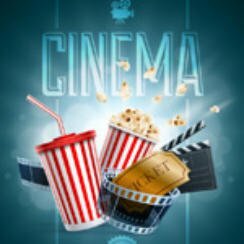 That just abouts concludes our look at the top 10 box office movies this week (UK Cinema Charts August 10 2018), come back next week to see whether Statham’s The Meg can hold on to the number one spot on the UK Top 10 Film Charts. and now action movie The Meg.